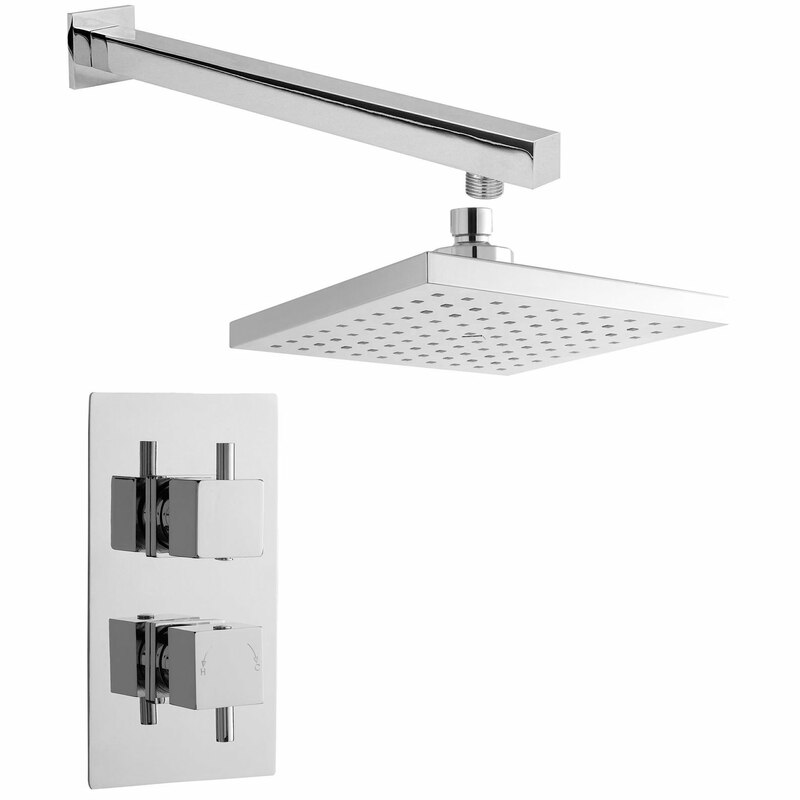 The attractive and functional beauty in the form of Premier Shower Bundle has been designed with convenience in mind. 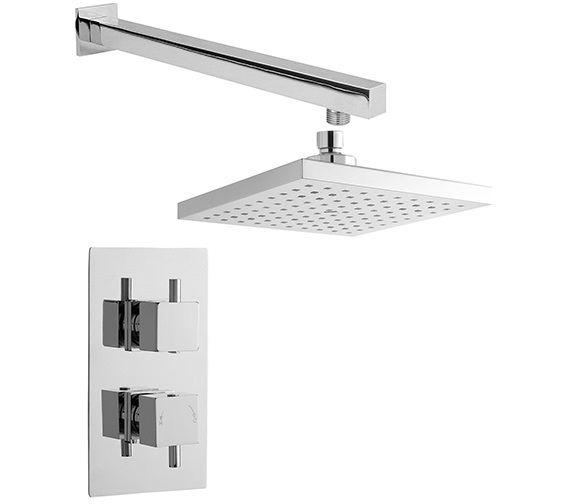 This sleek set includes thermostatic shower valve, square fixed shower head and arm. Manufactured in Britain from high quality material, it is finished in dazzling chrome polish. Contemporarily designed, it is suitable for use with gravity fed, pumped, unvented high pressure or fully modulated Combi-boilers. TMV2 certified it offers full thermal protection against accidental burns or scalds in the event of hot or cold water failure. It comes with 10 years guarantee, against any manufacturing defects. 350mm square wall mounted arm.